As the only permanent African member of the Group of 20, South Africa is committed to the continent’s industrialization and inclusive growth with a strategic policy framework tailored for the 21st century, according to the country’s top envoy to Korea. 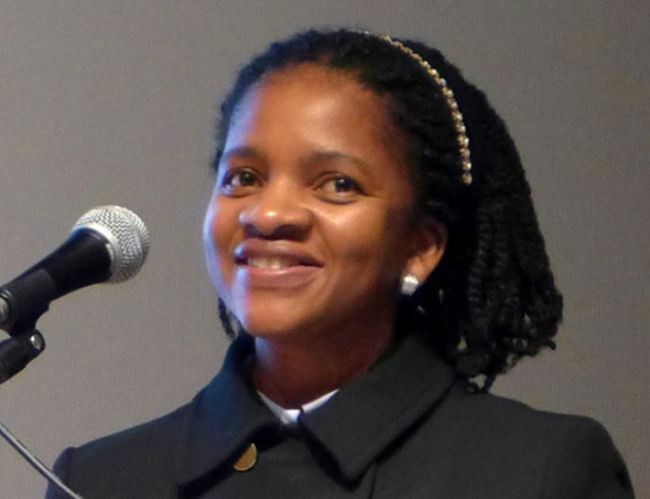 Nozuko Gloria Bam said in an interview that Pretoria’s foreign policy rested on its commitment to the values and ideals of pan-Africanism. South Africa coordinates its participation in the G-20 with the African Union and its New Partnership for Africa’s Development, a strategic framework for pan-African socioeconomic development and the continent’s international cooperation, she added. The African Union is the principal institution responsible for promoting continental sustainable development on economic, social and cultural levels, as well as integrating African economies. It comprises 55 member states, including nearly all the territory of the African continent. The continent’s regional economic communities are the building blocks of the union, and help formulate and implement African Union programs. “South Africa’s diplomacy of ‘Ubuntu’ continues to place cooperation with partners as the thrust of its foreign policy endeavors above all forms of competition,” Bam said, referring to the national philosophy that means “human kindness” or a “universal bond of sharing that connects all humanity.” Ubuntu is South Africa’s key foreign policy tenet prioritizing the application of universal human rights. Furthermore, the country seeks to radically alter the colonial and post-colonial patterns through which Africa supplied raw materials for industrialized Western nations. Currently, Africa is in the process of operationalizing the first Ten-Year Implementation Plan as part of Agenda 2063. To help spur continental integration, a tripartite free trade agreement was launched in June 2015 between the Southern African Development Community, the Common Market for Eastern and Southern Africa and the East African Community. “This FTA, which merges 26 countries into a free trade zone with 625 million people and a total GDP of $1.6 trillion, will contribute immensely towards increasing intra-African trade,” Bam said. “The FTA represents an important milestone towards the conclusion of negotiations for the establishment of the envisaged Continental Free Trade Area,” she added, referring to a separate continental free trade agreement brokered by the African Union and initially signed by 44 of its 55 member states in Kigali, Rwanda, on March 21. The Continental Free Trade Area aims to create a single market across Africa for goods and services, which would allow the free movement of business persons and investments, and finally lead to a continental customs union and African customs union. The United Nations Economic Commission for Africa estimates that the agreement will boost intra-African trade by over 50 percent by 2022.